Honig, Susan Marie (Brooks) passed away peacefully on Wednesday, May 31, 2017 at home surrounded by family. She was 52 years old. Susan was born in Saginaw, Michigan on January 12, 1965 to the late John and Delphine (Novack) Brooks, and sister to John Brooks. 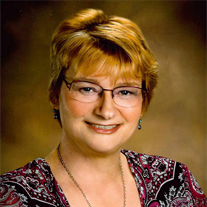 She graduated from Douglas MacArthur in 1983, and then continued her education at Delta College where she earned two associate degrees and met her husband, Richard. She and Richard would later be married on June 8, 1991. Sue enjoyed spending her time cooking, baking, traveling up north to their cottage in Lovells, and spending time with her family and Dachshund Sofie. Susan is survived by husband Richard, daughter Jessica, and son Eric. She had a zest for life and will be missed by many. FUNERAL: A Funeral Liturgy will take place at 11:00 a.m. on Thursday, June 8, 2017 at Holy Spirit Catholic Church, 1035 N. River Rd. Rev. Fr. Peter J. Gaspeny will officiate. Following Mass, cremation will take place. VISITATION: Friends are welcome to visit with the family at the Deisler Funeral Home, 2233 Hemmeter Rd. (off State) on Wednesday, June 7, 2017 from 3:00 p.m. until 8:00 p.m. On Thursday morning, Susan will be taken to church to lie in state from 10:00 a.m. until the time of Mass. MEMORIALS: In lieu of flowers, those planning an expression of sympathy may wish to consider memorials to The Long Dog Retreat Dachshund Rescue. Please share your thoughts and memories with the family at the church or through www.deislerfuneralhome.com.